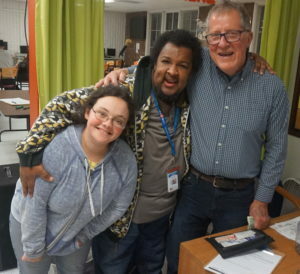 A social club for adults with disabilities – Club Impact uses an all-volunteer team to provide activities to nurture healthy relationships among participants. Club Impact believes everyone deserves a safe, fun place to socialize! Since February 2010, Club Impact’s all-volunteer staff has partnered with Impact NW to host a weekly, drop-in social every Monday night from 6-8pm at the Tabor Square building. Participants socialize and build lasting relationships while playing games, watching movies, or having fun at a special event (like exploring Oaks Park or going on a jet-boat ride on the Willamette River). Costs are kept low to ensure anyone interested can join the party. As a program run entirely on volunteer power we are always looking for new members of our team! Volunteers help support socialization and get to join in the fun with us each week. Volunteers are asked to commit to at least one Monday a month. For more information on how to get involved email Ralph Gilliam. Ralph Gilliam first got to know Impact NW in 1987 as a care coordinator at a homeless shelter located in SE Portland. Almost daily communication with Impact NW was necessary to provide case management for homeless families. The shelter was born from simple and direct inquiry and discussion between individuals from the church and Impact NW. I loved this work, and my respect and bond with Impact NW was shaped over the 15 year lifespan of the shelter. 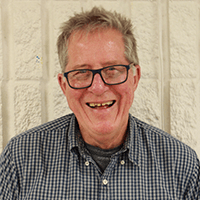 Ralph’s relationship with Impact NW continued in over time, but as a recently retired Special Education teacher working with 18- to 21-year-old students, he was keenly aware that students leaving the program needed continued social connections and opportunities. 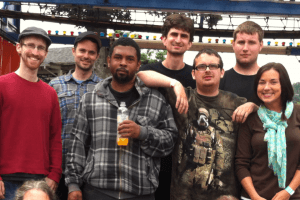 Without hesitation, Ralph contacted Impact NW about starting a social club for adults with disabilities. A year later – with some essential support from Impact NW – Club Impact was formed. Years later the club is still going strong.